"Every journey is about finding," says Judy Kleinberg, an artist-writer who has created over 1,000 found poems. "Browsing through magazines for images, I noticed 'accidental' phrases that were created through the happenstance of page layout," she says. 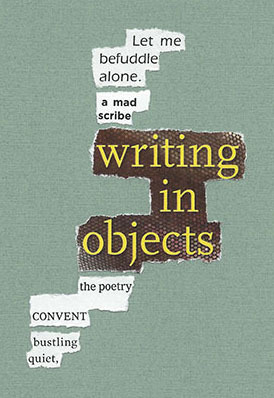 "My process is all about finding that unintentional syntax and combining small word chunks into poems." Join us at 3 Good Books, where Kleinberg offers reading suggestions on the theme of finding.